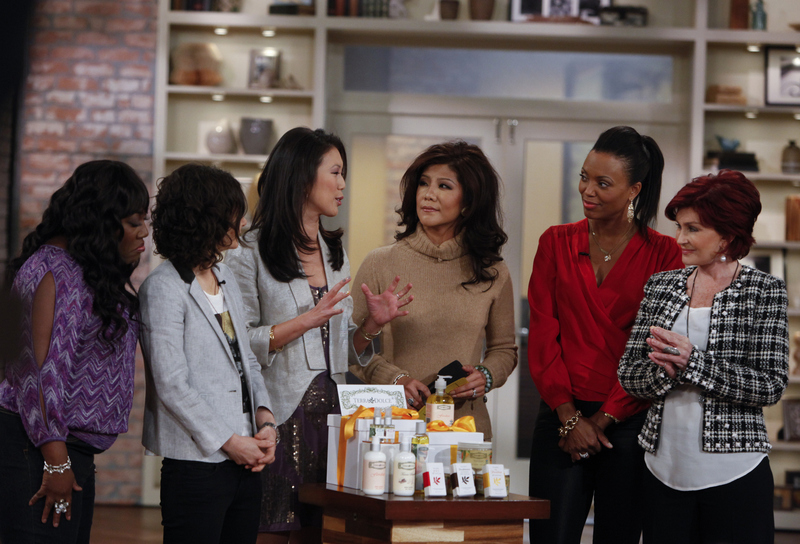 Lifestyle expert Chi Lan Lieu showcases the latest beauty products for the new year on THE TALK, Thursday, January 10, 2013 on the CBS Television Network. Sheryl Underwood, from left, Sara Gilbert, Chi Lan Lieu, Julie Chen, Aisha Tyler and Sharon Osbourne, shown. Photo: Lisette M. Azar/CBS ©2013 CBS Broadcasting, Inc. All Rights Reserved.